The laboratory is designed to the measurement of the characteristics of basic elements and components of the electrical circuits, characteristics of the power heavy current circuits and electrical machines and assembling of simple regulation circuits and systems, also to the acquirement of skills in the servicing and selection of the measurement devices during the practical education of the subjects Work on electrical devices, Electrotechnics and electronics, Aviation heavy current electrotechnics, Aircraft power systems. In the laboratory the functional specimens and prototypes of the scientific tasks are performed and various characteristics are measured within the frame of the scientific work of the Department. 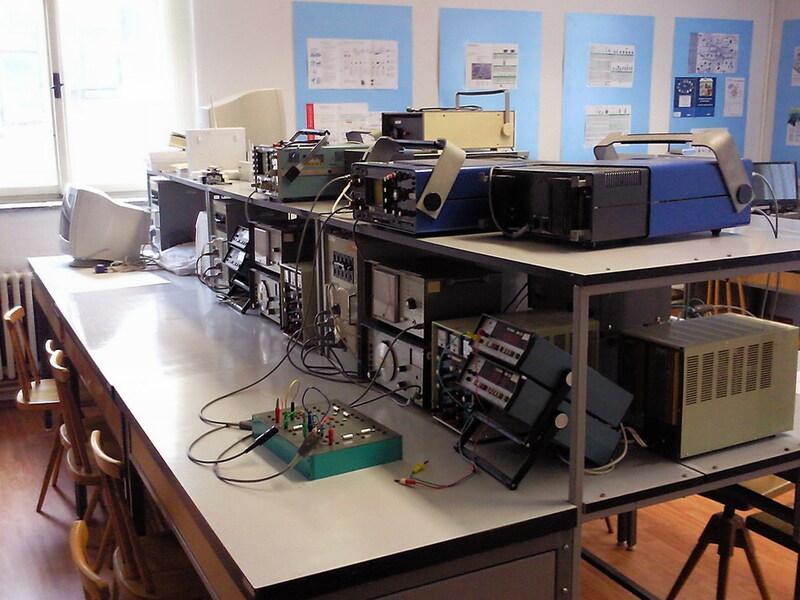 The electrotechnical laboratory with many measuring workstations is equipped with the basic assortment of electronic analogy and digital measurement devices, with demonstrative measuring stands and aids. 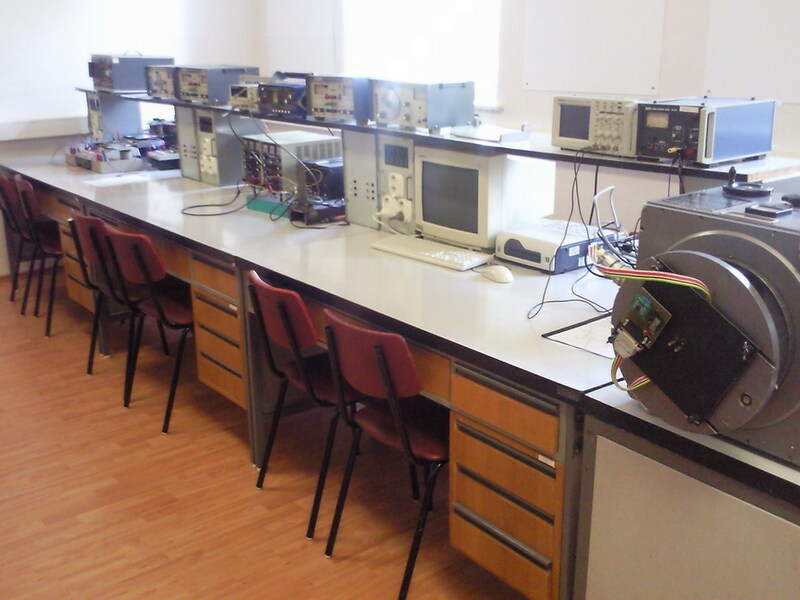 The laboratory of electronics offers the students pleasant and attractive environment with the convenient technical equipment for the acquisition of practical skills mainly in the following areas: in the area of verifying of the characteristics of the analog and digital electronic circuits, in the area of verifying of the principles and fundamental functions of sensors for industrial, transport, aviation, safety and security systems and in the area of verifying of the fundamental tasks of security systems. 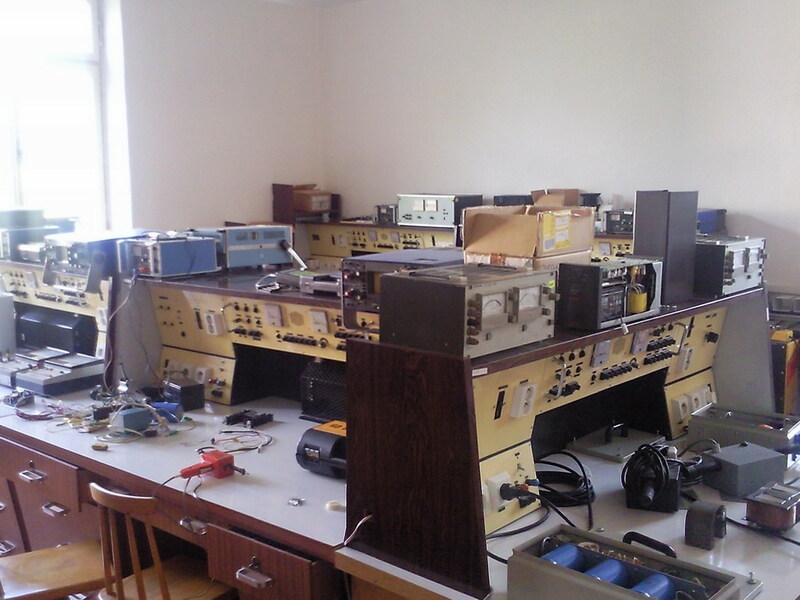 The laboratory is assigned on the practical measurement of active and passive electrical and non-electrical quantities, on the measurement of characteristics of the analogue and digital sensors and measuring devices, verifying and comparison of measurement methods, verifying of characteristics of the sources of the stimulation signals, on the formation of automated measuring workstations and on the acquirement of skills in the servicing and selection of measurement devices. 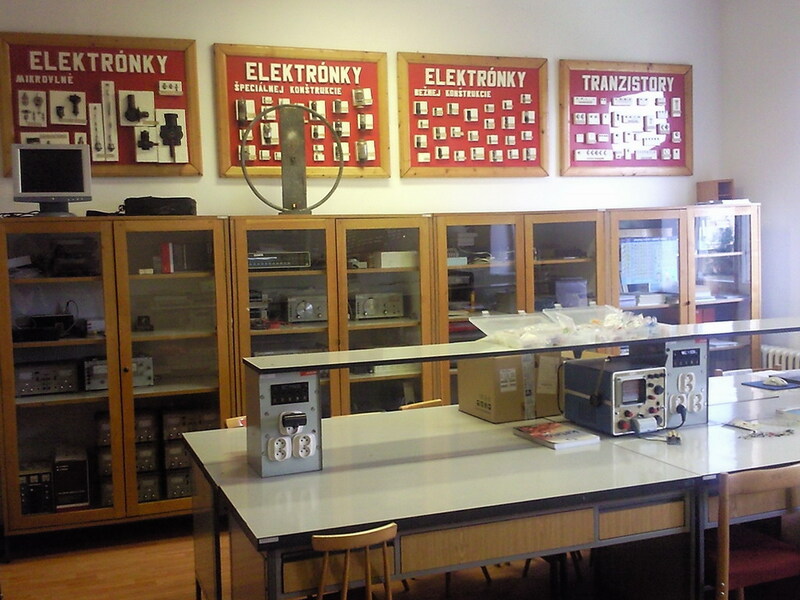 The laboratory is used during the practical education of the subjects Metrology and electrical measurement, Automated modular measurement systems, Sensors and microsystems, Intelligent sensors, Modern navigation and information systems. 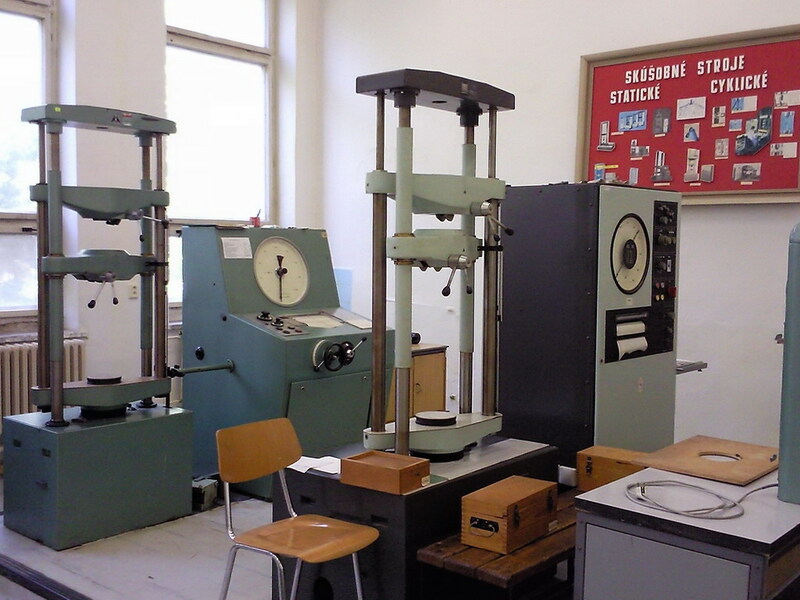 The laboratory is used for the magnetic measurements and for the research of the characteristics of the magnetic materials, measurement systems and methods. 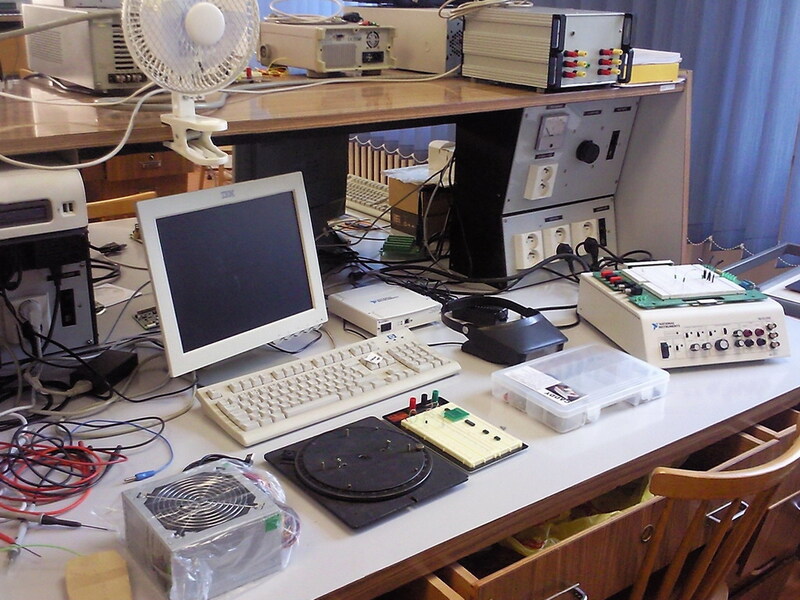 In this laboratory many dissertation thesis and project focused on the area of applied magnetometry have been solved. 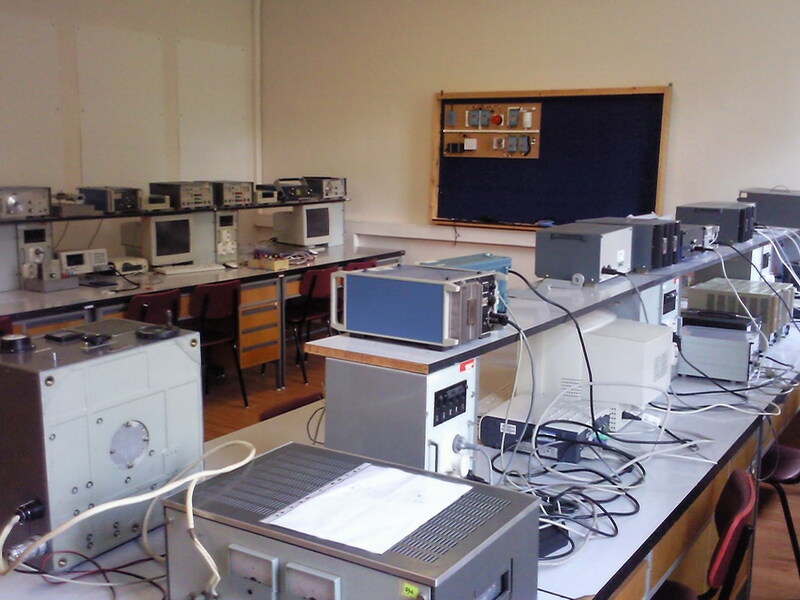 The laboratory is used for the practical part of the education process during the teaching of subjects Magnetometers and magnetic measurements, Applied magnetometry, Sensorics of exploration and security systems, Internet technologies of measurement and control, Fundamentals of actuators and servo systems techniques. 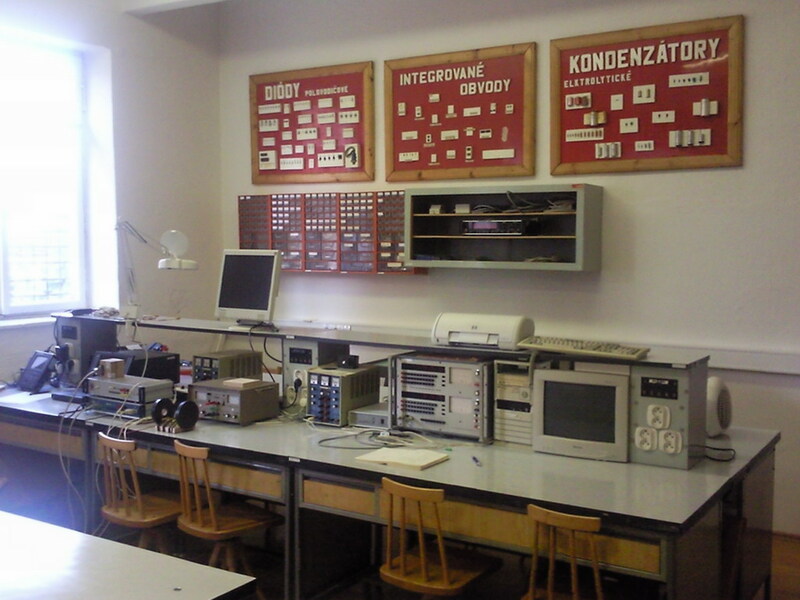 The laboratory is designed for the measurement of characteristics of the basic electrical and non-electrical components, sensors of physical quantities, digital elements and circuits, for the development and design of digital filters, for the acquirement of the skills in the serving and selection of measuring devices during the practical part of the teaching of the subjects Fundamentals of electronics, Fundamentals of aviation electrotechnics, Fundamentals of aviation electronics, Signals and systems. 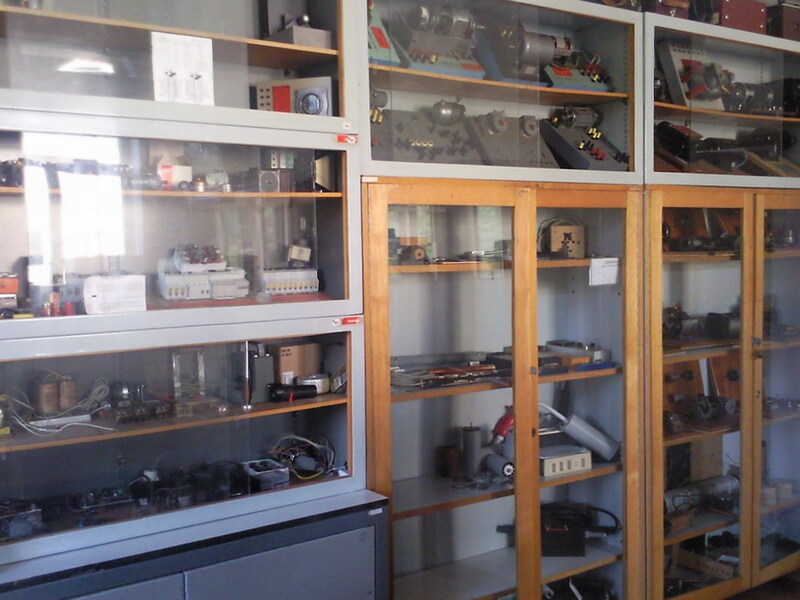 In the scientific area in the laboratory a fundamental research of the sensors of the weak magnetic fields, design and construction of relaxation magnetometers, development of methods for the metrology of the vector sensors of the physical fields and design and development of the magnetometric methods for the metal detection, archaeology and ecology is performed. 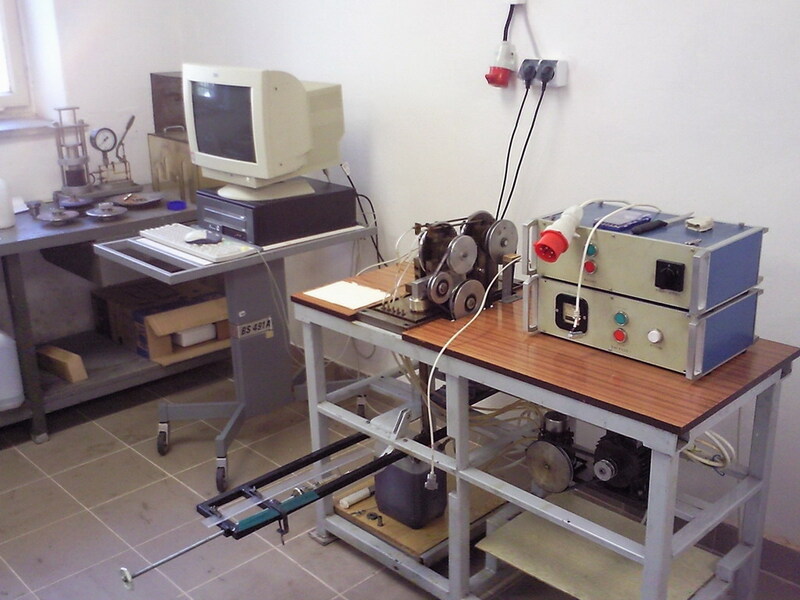 The laboratory is used for the determination of fundamental material characteristics, mainly by the strength, fatigue, hardness, notch toughness and creeping resistance testing. It contains the device for the static pulling tests (in the range of 10 tons) with the possibility of applying higher temperatures and also for the fatigue pulling-tension testing. 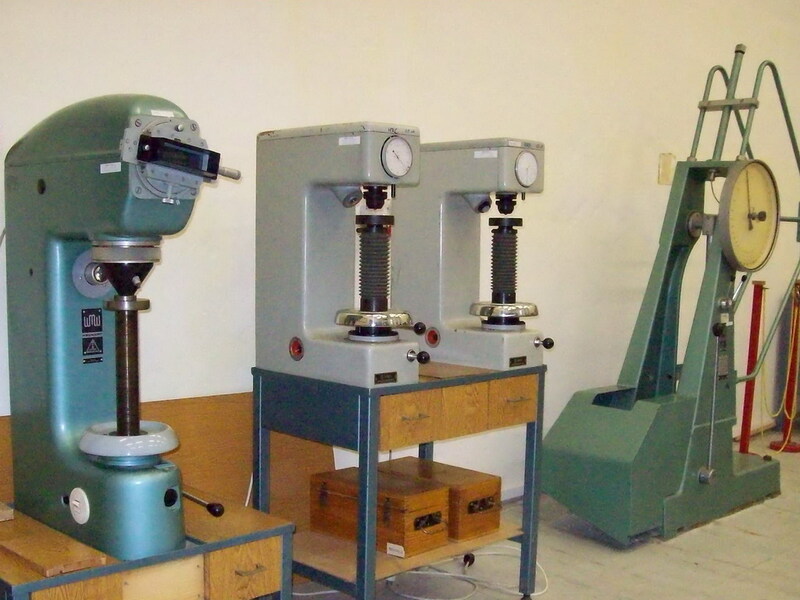 For the hardness testing two Rockwell hardness testers, two Brinell hardness testers and one combined Brinell-Vickers hardness tester are available. For the fatigue tests the MUI device for the cyclic mechanical stress testing with the rotational bending and with the frequency of 6000 rot/min is available. For the toughness determination Charpy hammer is used. 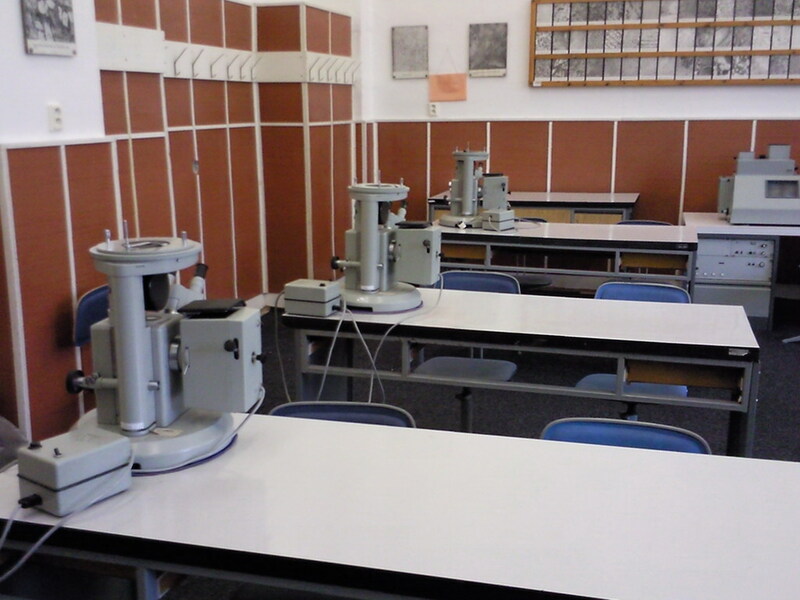 The laboratory is used for the preparation of the metallographic specimens and for their observation by the metalographic microscopes. 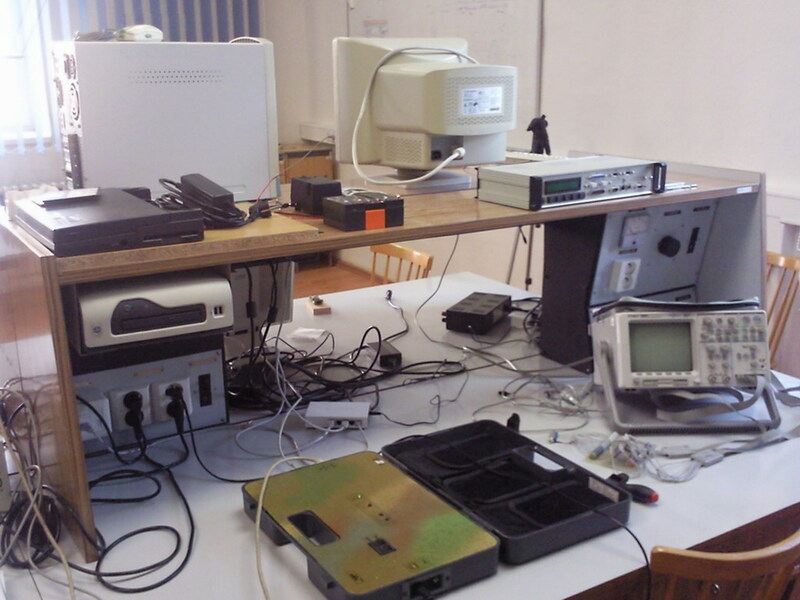 In addition to the six smaller microscopes also one table microscope, which enables microhardness measurement, macroscopic observation as well as photographical documentation is available. 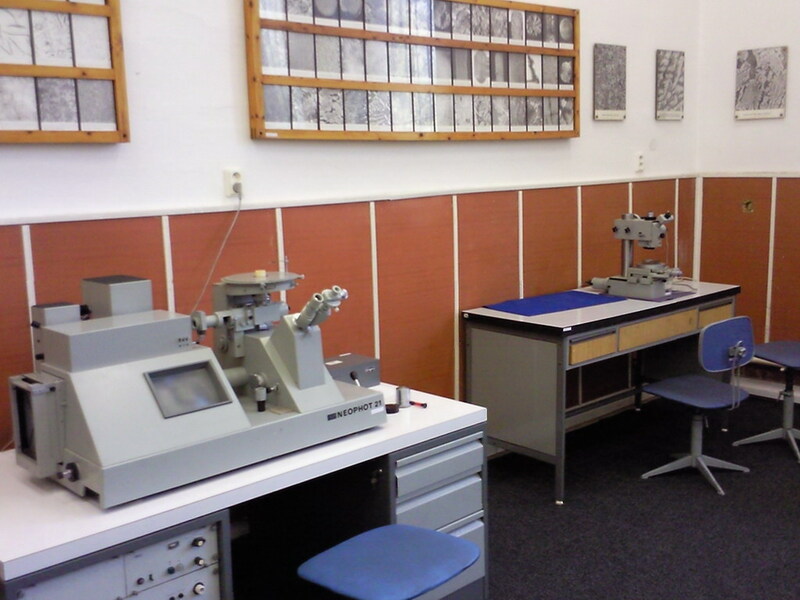 For the preparation of the metallographic specimens the appropriate mechanisms consisting of wet grinders and automatic polishing machines is available. 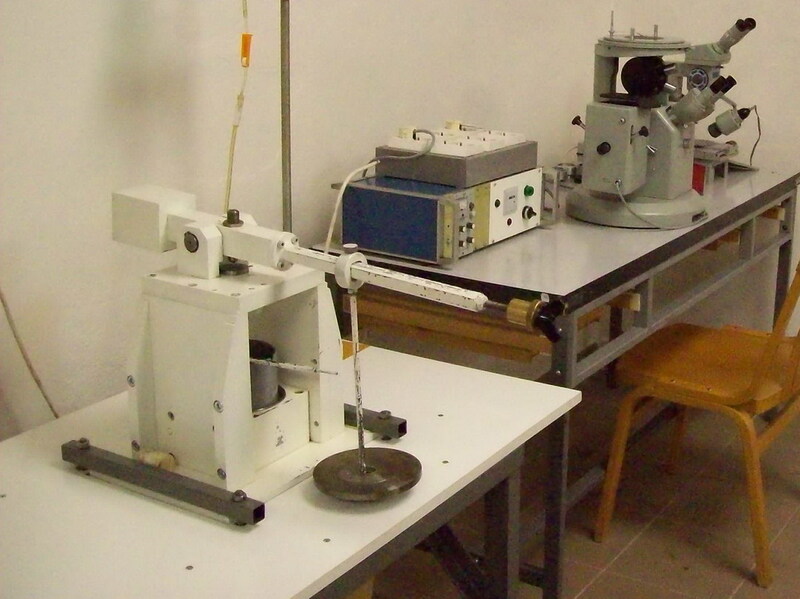 The laboratory serves for the execution of the material tests mainly in the area of contact fatigue, whereas it disposes of R-MAT and AXMAT devices assigned for the analysing of the damages and formation of pittings on the specimens of the examined materials. 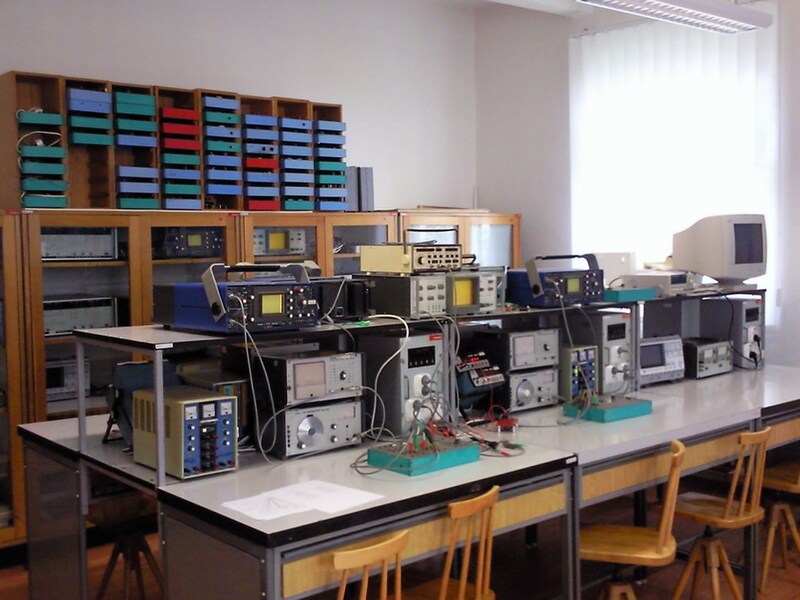 Furthermore the laboratory is in cooperation with the Department of Aviation Engineering also used as a vibrational diagnostics laboratory forasmuch as it is equipped with devices manufactured by the B+K and CMVA 55 Microlog companies.